If you cool a wire to a very low temperature—much colder than your freezer—something amazing happens: the electrons responsible for carrying the electrical current pair up and can flow forever without slowing down or producing heat. This remarkable phenomena, known as superconductivity, is crucial to the magnetic resonance imaging machines used in hospitals as well as large-scale particle colliders. Some metals become superconducting at higher temperatures, which has important potential for electric power transmission and superconductor-based data processing. However, if scientists reduce the thickness of a wire down to the nanoscale size required for modern computer components—millions of times thinner than a human hair—the transition to the superconducting state can disappear, “with the electrons stubbornly refusing to get along all the way down to absolute zero temperature,” says UVM physicist Adrian Del Maestro. Now a new study, co-led by Del Maestro and University of Utah physicist Andrey Rogachev, shows why. The research, published July 9 in the journal Nature Physics, is the first to uncover the microscopic process by which metal wires lose their superconductivity: when the wire is small enough, a magnetic field can break apart these pairs of electrons, called Cooper pairs, which interact with other Cooper pairs and experience a damping force from unpaired electrons present in the system. The tiny wire undergoes what is called a quantum phase transition, changing from a superconductor to normal metal. 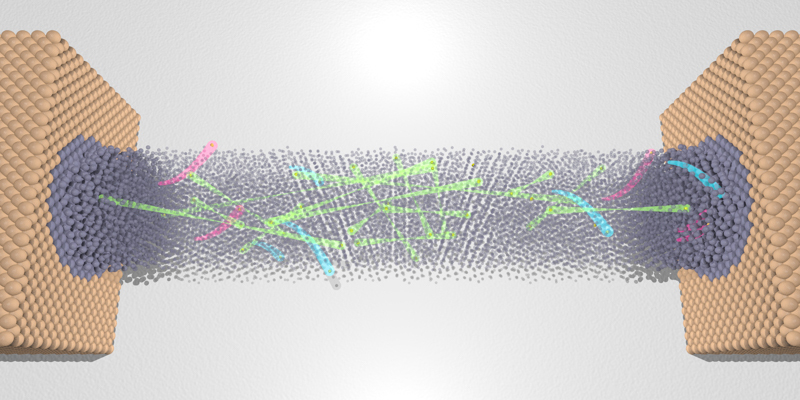 “The ability to control this transition in nanowires could lead to a new class of energy efficient information technologies based on tiny superconductors,” says Del Maestro. To understand phase transitions, study your iced drink on a hot summer day. It’s a lesson in classical phase transitions. Apply heat and watch how its properties change. At a so-called critical point, it transforms from a liquid to a gas. Remove heat from the water by putting it in the freezer and watch it turn into a solid—ice. Now, imagine that you’ve cooled everything down to very low temperatures — so low that all thermal effects vanish. Welcome to the quantum realm, where pressure and magnetic fields cause new phases to emerge in a phenomenon called quantum phase transitions (QPT). More than a simple transition from one phase to another, QPT can form completely new properties—including superconductivity. Scientists discovered superconductivity more than 100 years ago—and high-temperature superconductors in 1986—but the exact mechanism for how it works remains an enigma because the majority of materials are too complex to understand the physics in detail. But the scientists on the new study, led by groups at the University of Utah and the University of Grenoble in France, were able to fabricate and test state-of-the-art nanowires, under ten nanometers thick, out of a metal alloy called molybdenum-germanium. With these, the team, supported by the National Science Foundation, was able to closely study how nanowires can undergo quantum phase transitions from superconducting to a normal metal state when placed in an increasing magnetic field at low temperatures. The new laboratory findings are fully explained by the theory proposed by UVM’s Adrian Del Maestro. This is the first time in the field of superconductivity that all details of a quantum phase transition predicted by a theory were confirmed on real objects in the lab. 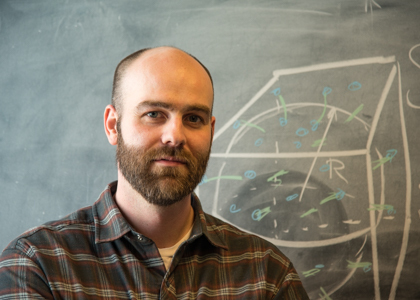 Condensed matter physicists study what happens to materials with all of their heat removed in two ways—experimental physicists develop materials to test in a lab, while theoretical physicists develop mathematical equations to understand the physical behavior. This new research in Nature Physics tells the story of how theory and experiment informed and motivated each other. In Del Maestro’s "pair breaking" theory, single electrons are unlikely to bump into the edges of the smallest wire since even a single strand of atoms is large compared to the size of an electron. But, Del Maestro says, “two electrons that form the pairs responsible for superconductivity can be far apart and now the nanoscale size of the wire makes it more difficult for them to travel together.” Then add in a powerful magnetic field, which disentangles pairs by curving their paths, and “the electrons are unable to conspire to form the superconducting state,” said Del Maestro.